I got this material at a bargain price of 1.99m in October last year. I have the same in khaki. 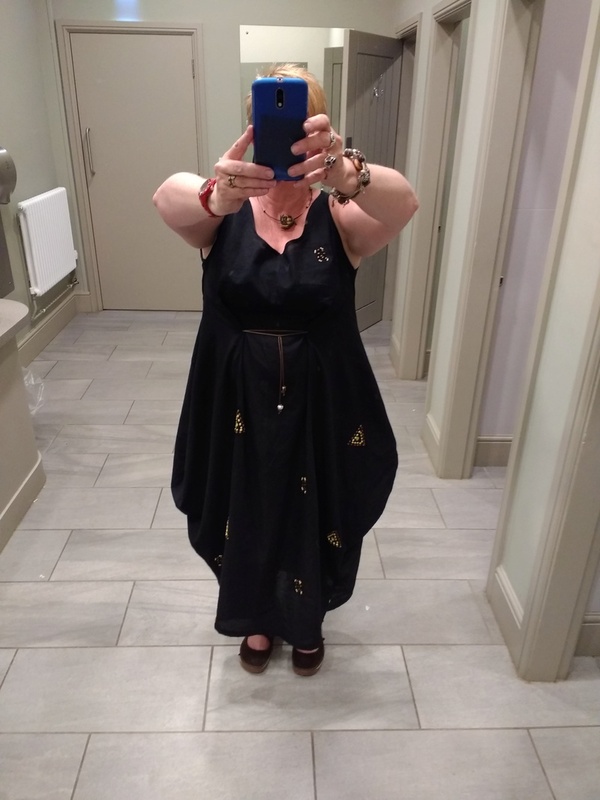 Fabulous dress, Jo - and what a bargain! LOL re the photo in the loos, we do things like that don't we. Looks great, I like all the additions you've made. I bet it's great to wear. 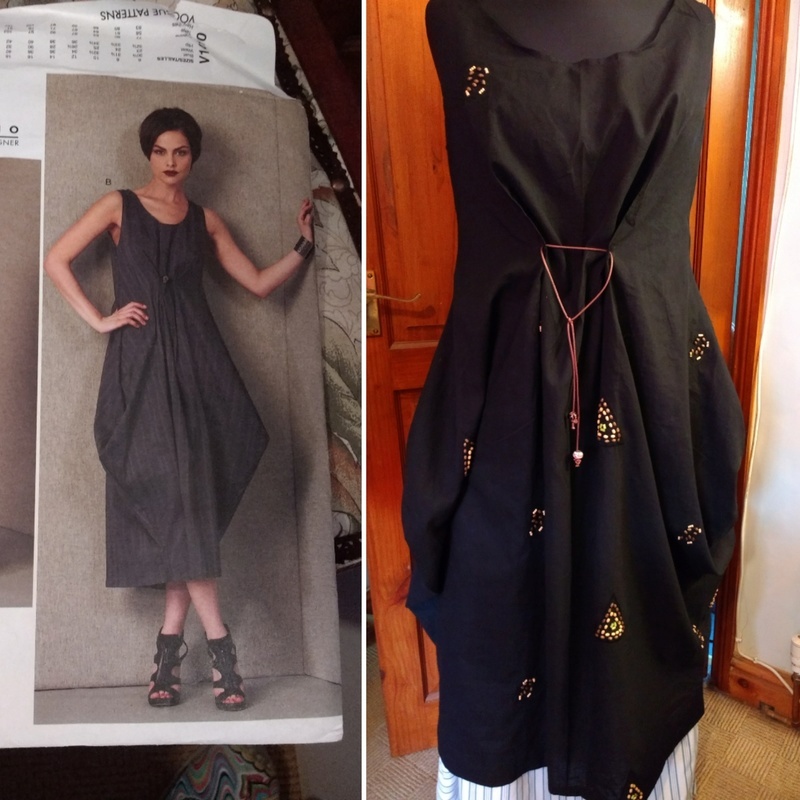 Great dress, well done on the price of the material too. The material came with the beads on Karilyn if that's what you meant. Which in hindsight wasn't great as I kept having to cut them off,lol.